Robovet is a practice management solution that is suitable for clinics of all sizes. It offers online appointment scheduling, reminders and automated marketing tools. "Poor layout, outdated, not user friendly." Ability to easily search patient history and records. Predictive text converts abbreviations into full written notes. What Veterinary Practice Management solution do you use? AVImark is a veterinary software system that provides features and functions like an appointment calendar, boarding calendar, client information display, and more to help you manage your business. Cornerstone Practice Management helps you manage your practice efficiency and profitability and allows your practice to work together by helping manage client relationships, patient care and client service, and more. ezyVet is a cloud based beautiful veterinary practice management software that is fully integrated with XERO and Smart Flow and changing the face of Veterinary Software. Reporting and workflow software for veterinarians. eVetPractice.com is a cloud-based veterinary practice management solution that provides real-time access to patient and client records, integrated payment processing, automated service and appointment reminders, and more. IDEXX Neo is a web-based veterinary practice management software, developed by a veterinarian to be quick and intuitive to use. The solution is suitable for veterinary practises of all sizes and can only be deployed in the cloud. RxWorks is a practice management software that is centered on the electronic medical records for your patients and allows you to track all items associated with a visit helping you keep accurate records and capture all related visit charges. Advantage+ is a veterinary practice management software that is a implemented and featured system that included medical records and purchasing modules, as well as tools to be a paperless or paper light practice. Vetter Software is a cloud-based veterinary practice management software that helps manage record keeping, administrative costs and collaboration between veterinarians and pet owners. VetBlue is a cloud-based solution that allows you to focus on your existing customers and your business rather than focusing on executing daily transactions with online collaboration and reporting to help manage your business. * We monitor all RoboVet reviews to prevent fraudulent reviews and keep review quality high. We do not post reviews by company employees or direct competitors. Validated reviews require the user to submit a screenshot of the product containing their user ID, in order to verify a user is an actual user of the product. Hi there! 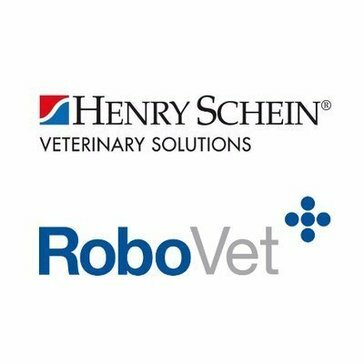 Are you looking to implement a solution like RoboVet?